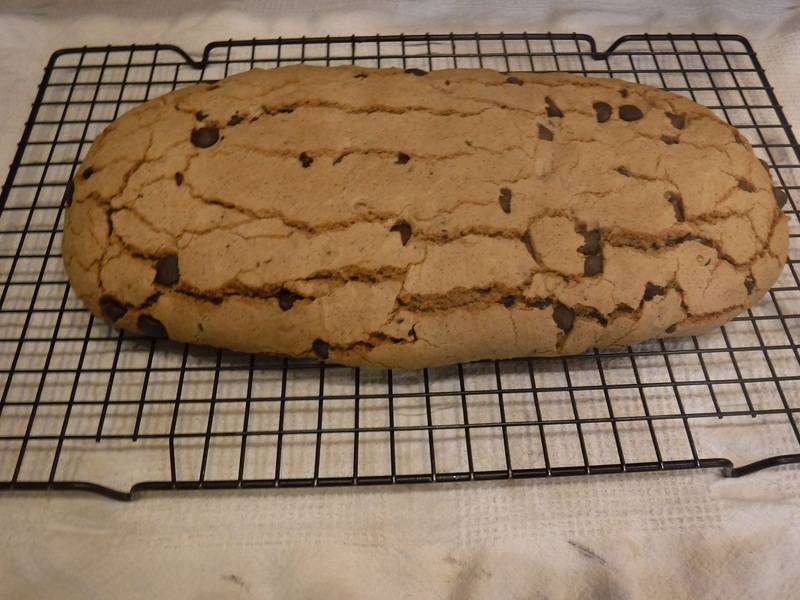 Mandel bread is a crispy cookie with many spellings; many recipe variations and many divergent culture groups claim it as their own. 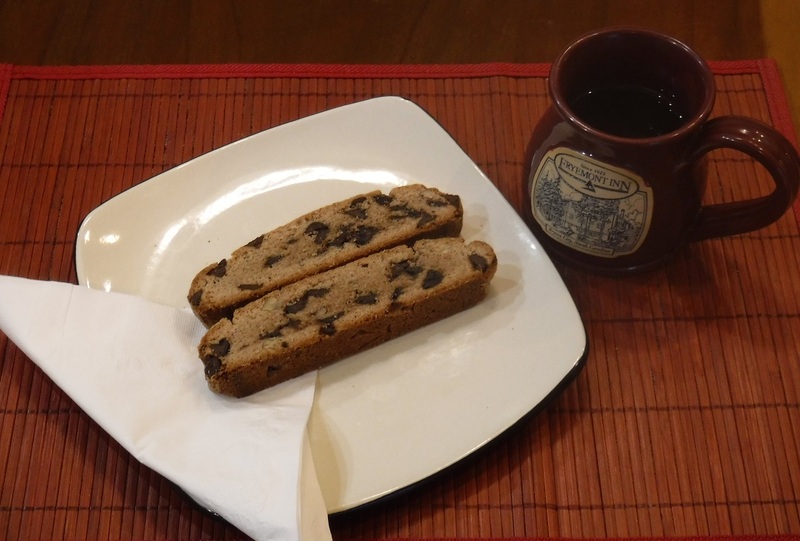 There are similar cookies in other nations such as the Italian biscotti. Abbie learned to make the m?????????? by watching her grandmother make the popular cookie. It has been a favorite of hers it is frequently served to family and guests. It is a quick and easy recipe to make and it can be modified to suit your particular tastes. NOTE: If using nuts only, use 1 cup of the chopped nuts. 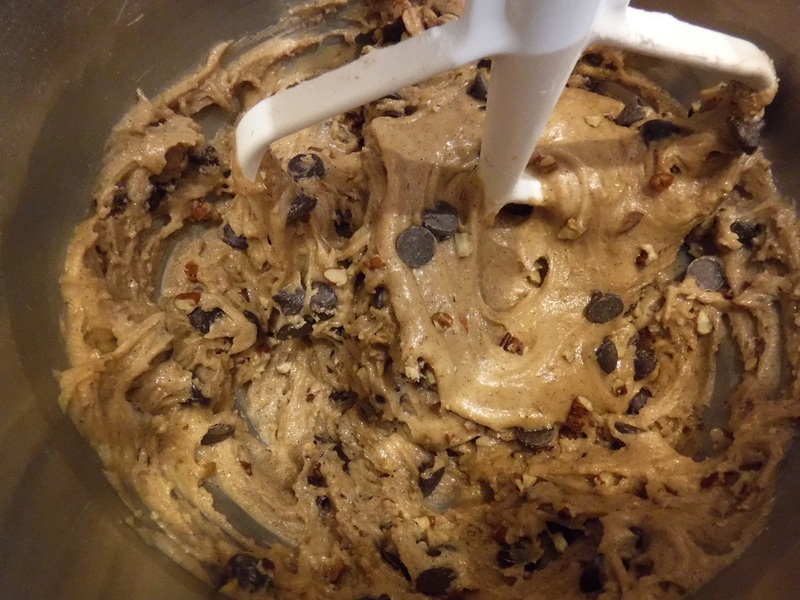 If using nuts and chocolate chips use ½ cup of each. 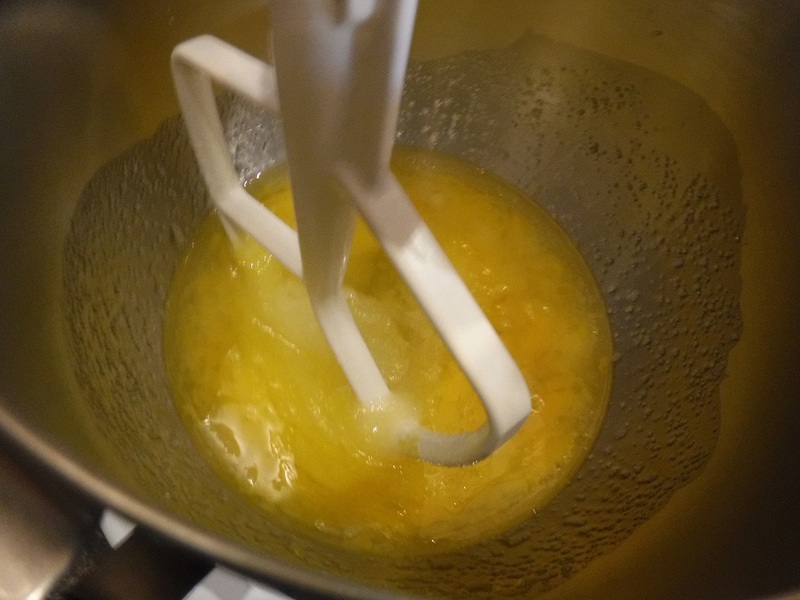 Mix together eggs, oil, sugar and vanilla. 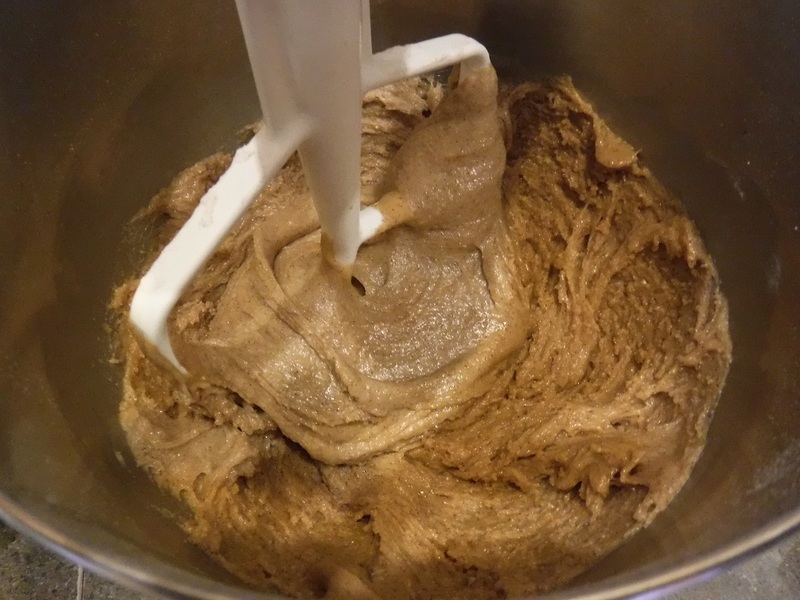 Mix dry ingredients, flour, baking powder, salt and cinnamon. Add to the egg mixture and mix well. Add the nuts and or chocolate chips if using. 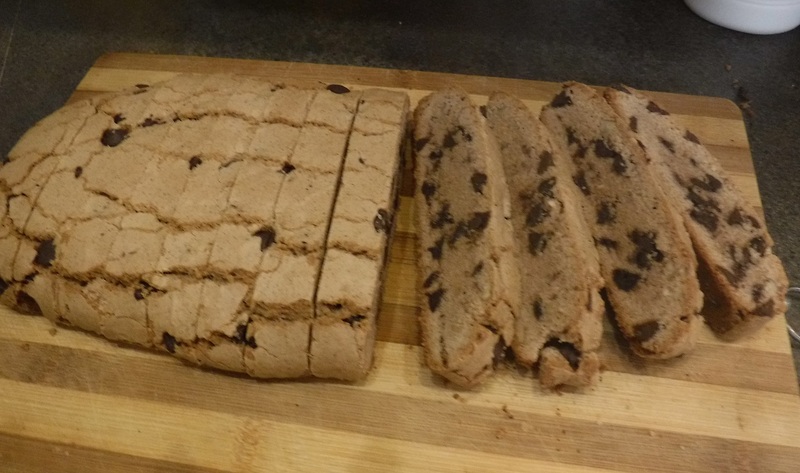 Note: Add 2 ½ cups of flour mixture to start. 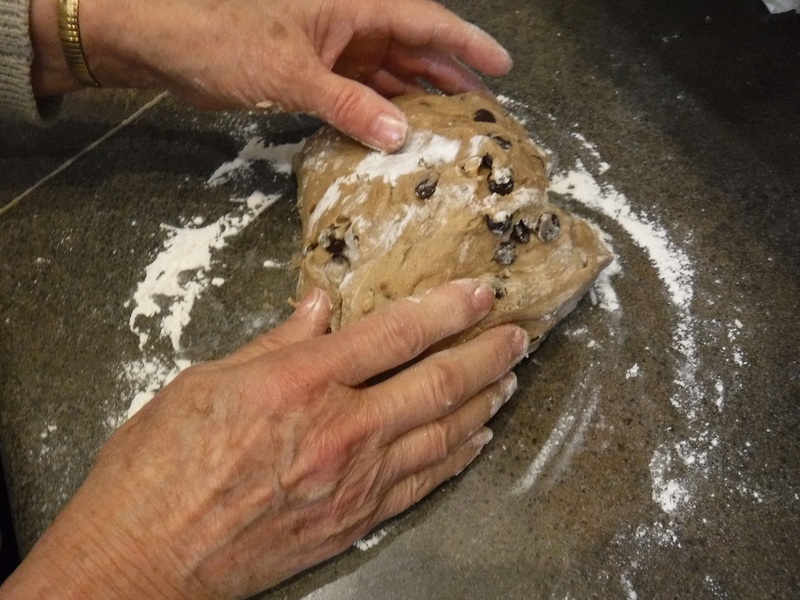 After mixing add flour to bring the mixture to the soft kneading consistency. Turn out onto floured surface and knead the dough to the desired stiffness and form in to the desired flat, rounded oval shape. 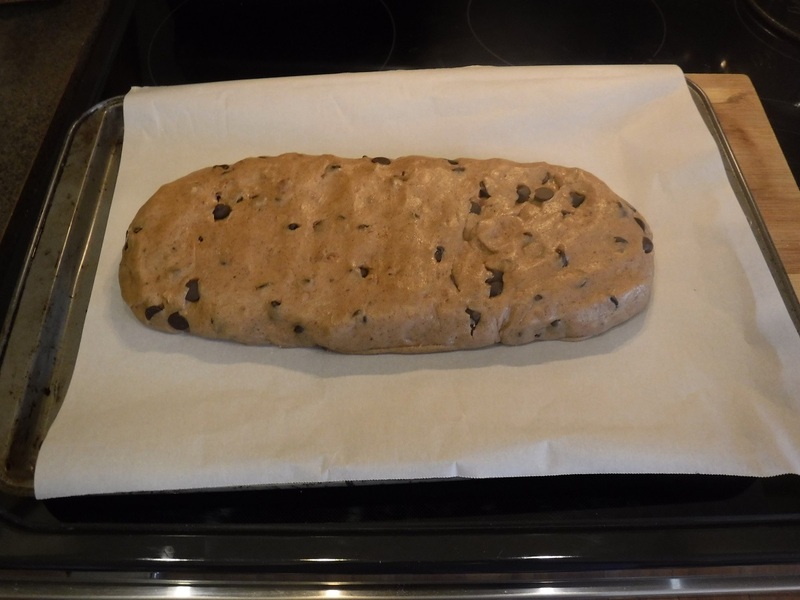 Bake in a preheated 350°F oven for about 45 minutes or until the top feels dry and slightly firm. Remove from oven and cool on rack for 15 minutes. Allow to rest until just warm and then slice. Store in a closed container.